Getting together for a flavour-packed coffee box in October are Calendar Coffee Roasters, Nømad and April Coffee Roasters. The first signs of autumn have appeared on the horizon, cooling down our days and nights, a welcome respite after the intense heat of the summer, but we’re still in for a spell of balmy days. It’s crazy to think, though, that this year is slowly coming to an end and we’re now presenting to you our absolutely spectacular forthcoming October ’18 coffee box. For this edition, we’re teaming up with three outstanding roasters, two of which you will probably already know and one who is making his Coffeevine and proper international debut in our October ’18 coffee box. Calendar Coffee Roasters from Galway in Ireland is joining Nømad Coffee Roasters and April Coffee Roasters in what will be a flavour-packed coffee box you don’t want to miss. Keep on reading for more details and to preorder your own box now. In addition, we’re super excited to announce the launch of a new event series that we’re hoping will bring together more coffee lovers and coffee-curious people in different cities. From now on, whenever we’re visiting somewhere and timings allow, we will host a casual but educational coffee tasting at a local coffee bar where locals will be offered the opportunity to learn about our roasters, taste their coffees and ask any quesions they might have about coffee in general. The first of these events will take place in Tel Aviv on September 27th. If you happen to be there that day, join our Facebook event and feel free to attend! 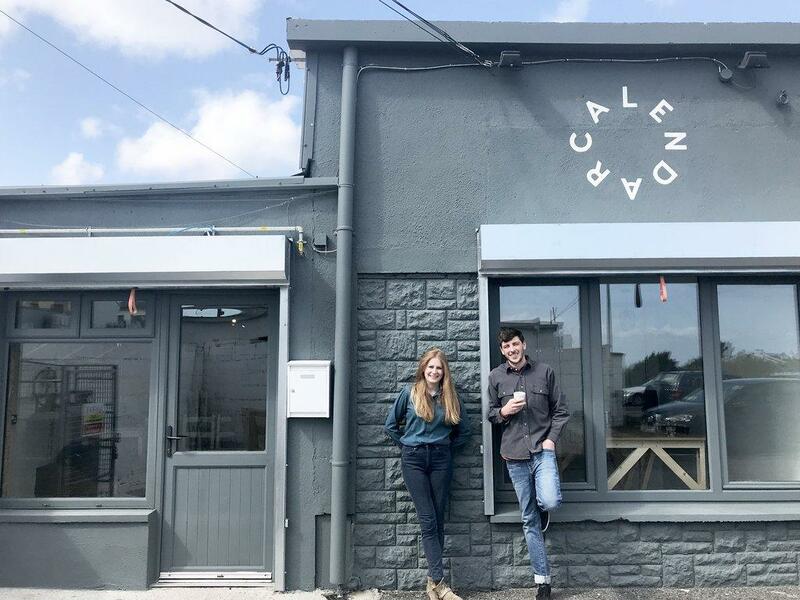 One of the youngest coffee roasters we’ve ever featured in one of our coffee boxes, Calendar Coffee from Galway in Ireland was set up by Dan and Zarah who met and worked at Workshop Coffee in London for a couple of years as Head Roaster and Front of House Manager, respectively. According to the pair, they quickly realised they had a shared love of weird wines, good food and Six Nations Rugby and in 2017 they relocated to Zarah’s hometown in Ireland to set up Calendar Coffee Roasters. Building on years of experience, they decided to bundle their knowledge and desire to build a more transparent coffee business that shares vital but often withheld information such as harvest dates with its customers. All of Calendar’s coffees are carefully sourced and roasted with the greatest care before they’re offered to a mix of local and international customers. We’re thrilled to welcome Dan and Zarah to our family of outstanding roasters with a truly gorgeous microlot coffee from producer Jose Efrain Diaz from El Salvador that will be a real crowd pleaser. Every country, or should we say every city, has its pioneer coffee roaster that has achieved world fame by breaking boundaries and pushing the envelope just a tad bit further. In the case of Spain and Barcelona in particular, that roaster has to be Nømad. As iconic as the city itself, Nømad was founded by repeat Spanish Barista Champion Jordi Mestre and Francisco Gonzales and is now one of the most sought-after roasters in Europe. No wonder really, its first coffee shop in Barcelona is an Instagram favourite and its coffees are absolutely always mind-blowing. 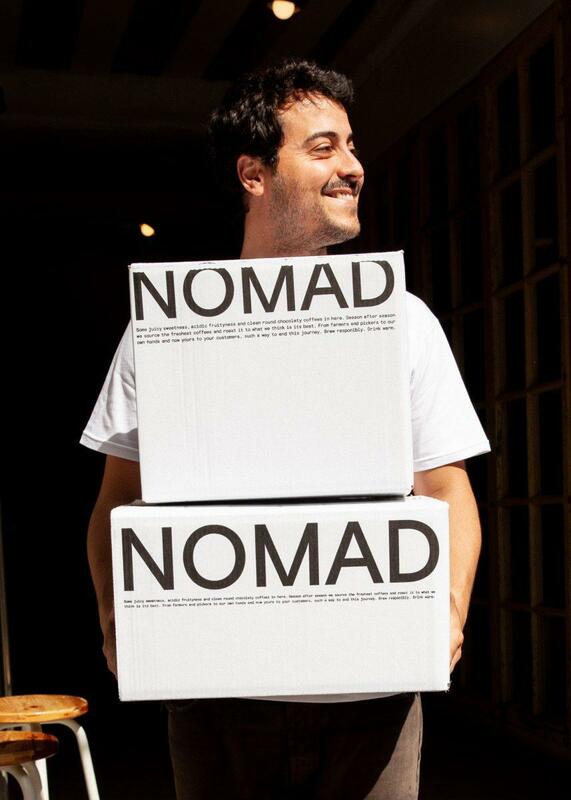 Jordi has been an friend of The Coffeevine for many years and just in time for the upcoming Barcelona Coffee Festival (keep an eye out for soon-to-be-announced Coffeevine event in the city) Nømad is returning for a new feature in our upcoming October ’18 coffee box. This time, we’re sharing a gorgeous Ethiopian coffee from Boji in Kochere, one of our most favourite coffee regions in the country. 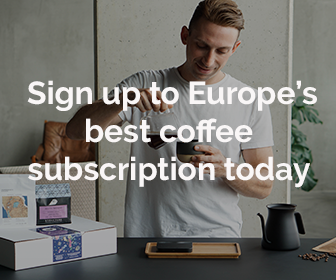 One of the most exciting and critically acclaimed European roasters, April Coffee Roasters, from Copenhagen is a name that keeps making waves in the specialty coffee world. 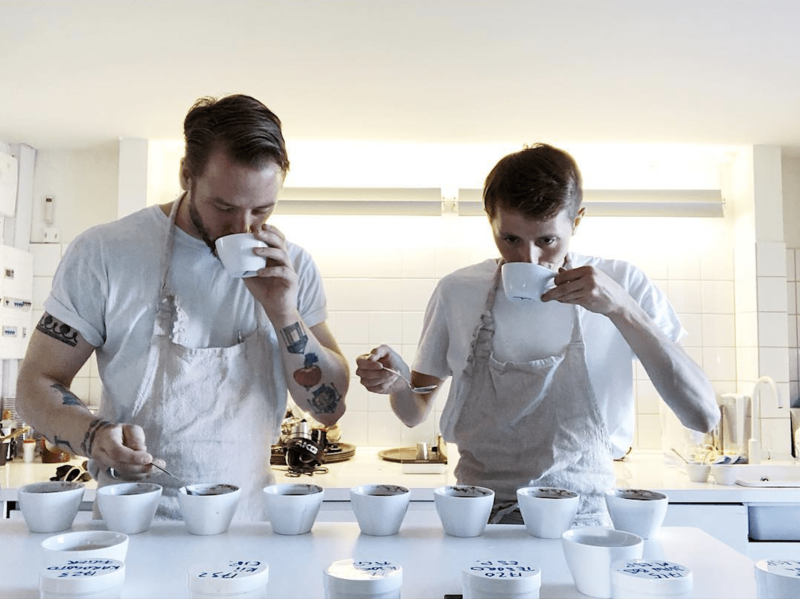 Founded by Swedish native Patrik Rolf, April Coffee Roasters is on a mission to become one of the best roasters in the world and well on its way to get there. Inspired by Danish design and quality of life, April Coffee Roasters keeps pushing boundaries with its absolutely stunning coffees that can also be purchased in Nespresso-compatible capsules. April Coffee Roasters has been featured only once before and we’re excited to finally have them back for a second time. This time, Patrik and his team member Joseph Fisher will offer us a super vibrant and fruity coffee from Kenya and we cannot wait to share it with you. Keen to get your hands on this super tasty coffee box?